Wied iz-Zurrieq (Zurrieq Valley) is a small village situated on the southern coast of Malta, just off the town of Zurrieq. It is very popular with tourists for Blue Grotto caves, and with scuba divers for Um El Faroud wreck, a 110-metres long Libyan oil tanker that was scuttled in September 1998 for scuba diving and sits upright on sand with maximum depth of 36 m. Other dive sites in Wied iz-Zurrieq are East Reef, a wall with depths over 30 m, and West Reef & Caves, which has drop-offs, ledges, gullies, boulders and two caves, surrounded by sea grass and sandy areas, and a diving helmet statue which lies on the way to Um El Faroud wreck. Wied iz-Zurrieq is excellent place for night diving too. Although this dive site is often referred as Blue Grotto, the actual Blue Grotto is approximately 1 km east from Wied iz-Zurrieq valley. It is accessible only by boat and is not usually dived. There is a viewing platform above Blue Grotto close to the road leading to the valley. 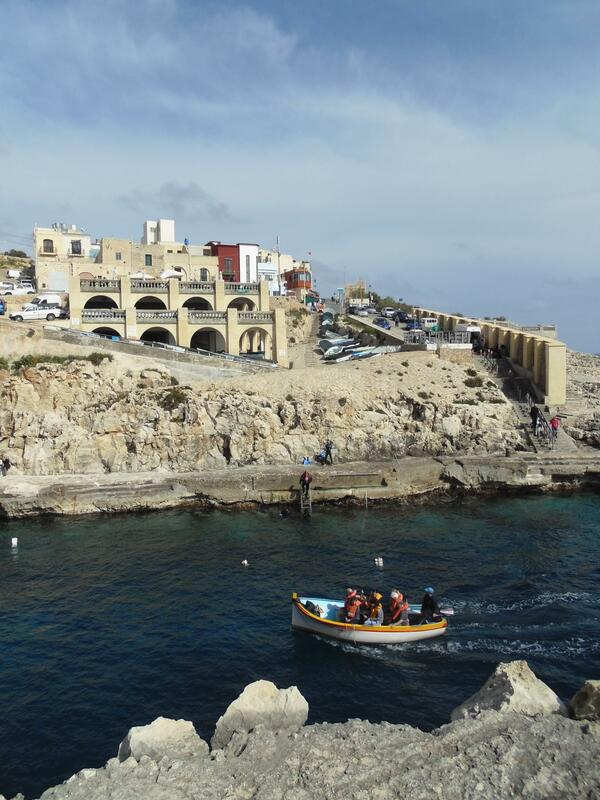 On calm days traditional Maltese luzzus offer tourist boat trips from the quay in Wied iz-Zurrieq to Blue Grotto and other nearby sea caves. There are multiple entry/exit points along the quay for all the dives in Wied iz-Zurrieq area. The quay is accessed either using stairs or a ramp, depending on the parking place and planned entry/exit point. For entry/exit there are ladders in four spots along the quay and a slipway, although entrance into the sea can be done at any point by giant stride. One ladder is right below the stairs and two others some 20 m from it to left and right. The slipway is an extension of the ramp, and the last ladder is inside the bay next to the embarkation point for tourist boats. The quay area is fully concreted and can be very slippery due to algal growth, especially over the slipway. For diving East Reef, there is an entry point further round to the east from the stairs following a path, but exit is not possible here. The entry/exit points can get quite busy at peak times in the summer. The small inlet is the only possible exit in the area. Check whether the ladders are in place before the dive, especially during the winter months, because they can be removed or come off in bad weather. The slipway, which is sheltered from the open sea, might be the only exit point also in rough sea conditions. Sometimes there are strong currents even when sea conditions are calm. Beware of busy boat traffic when surfacing or swimming across the bay, the small boats taking tourists to visit Blue Grotto. There are often anglers on the shore, enter the water away from their lines. Divers’ informal parking area is at the bottom of the hill where the road ends, close to the stairs leading to the quay, or near the top of the ramp. Vehicles can also be parked on street. There are two official parking areas available, but a bit farther away (150-200 m) from the entry/exit points. Wied iz-Zurrieq is very crowded during the summer months and finding a parking place can be difficult. 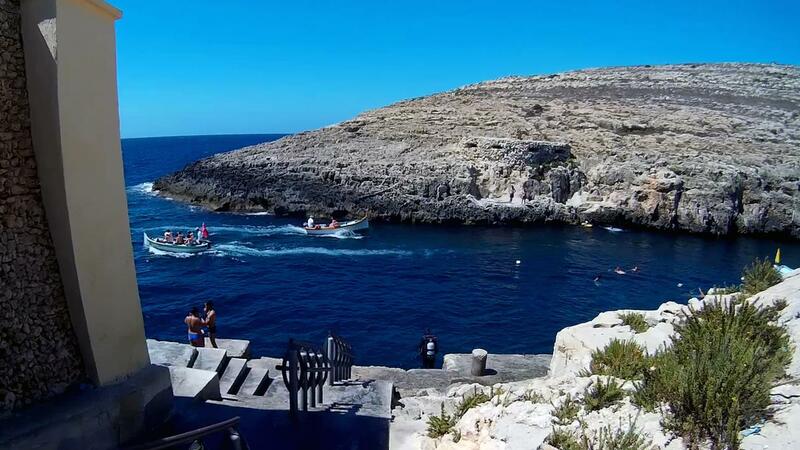 Wied iz-Zurrieq bay is nice place also for swimming and snorkelling. Surface marker buoy is advisable at least on the east side due the boat traffic. The area is used for shore angling and mooring both tourist and fishing boats. Restaurants, cafes, tourist shops, and public toilets are open during the day and evening in the summer, but close earlier in the winter. Um El Faroud is the best wreck dive in Malta. She was scuttled 1998 for scuba diving off shore Wied iz-Zurrieq. Um El Faroud wreck is 110m tanker at 36m. 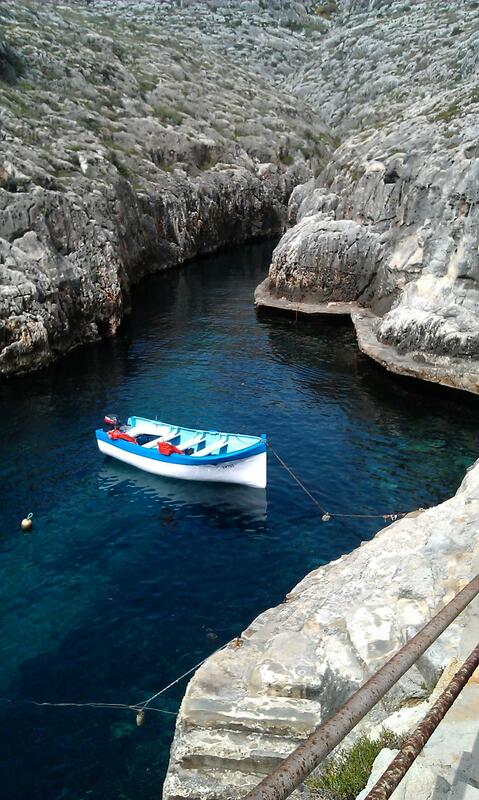 West Reef & Caves is one of the dive sites in Wied iz-Zurrieq. West Reef has drop-offs, ledges, gullies, boulders and two caves, one named Bell Tower Cave. East Reef is one of the dive sites in Wied iz-Zurrieq. East Reef is wall dive with max depth over 30m. Often excellent visibility and lots of marine life. 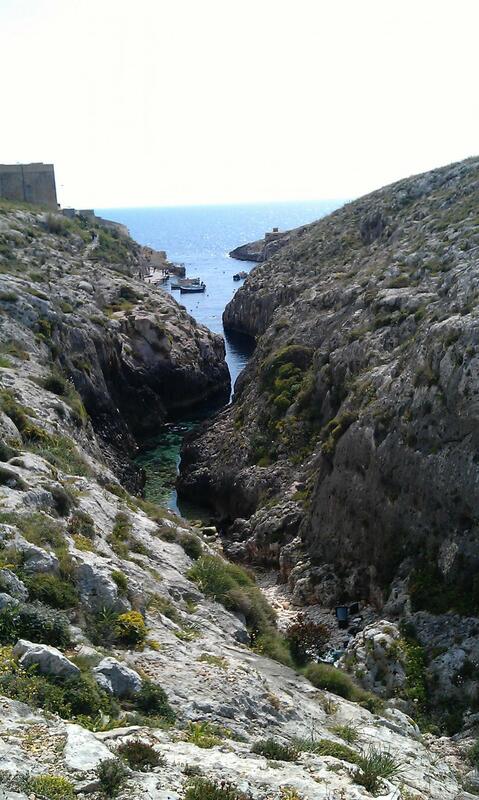 Valley is starting/ending point for shore dives in Wied iz-Zurrieq. Shallow inlet is excellent site for night diving and training dives. Lots of marine life. ★★★★★ Beautiful large caves and Malta's biggest wreck. I would consider this the main islands best dive location.